Just like the rest of the country, small and medium businesses (SMBs) dominate the economic field in Connecticut. There are more than 340,000 SMBs in the state, which makes up 99.4% of the total businesses, employing over 735,000 workers. 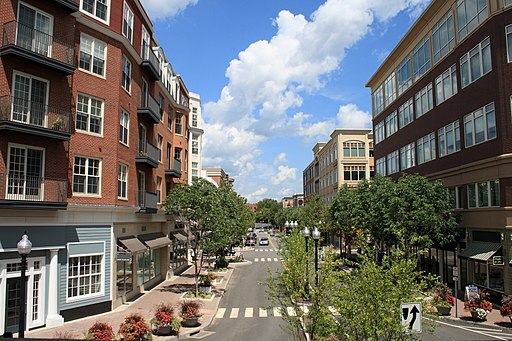 Fairfield, Greenwich, and Westport are three of the top towns in Connecticut that have the best climate for businesses, including if you’re looking to buy a business in Connecticut or sell a business in Connecticut. These towns are considered as the bright spots in the state that has seen better days. With sound business-friendly policies and fiscal measures, these towns managed to solve the debt problem, poverty rate, crime, population, and cost of living. Meanwhile, on the other end of the spectrum are Hartford, Waterbury, and New Haven, which are struggling with fiscal issues and where things like getting a business valuation in Connecticut are a must. The insurance and financial services industry is thriving in Connecticut. In fact, the insurance sector is the top employer per capita in the state. Among the biggest names in the industry with headquarters in the state are Aetna, Travelers, and Hartford. Manufacturing and agriculture are also two industries that are flourishing in the state. Connecticut benefits from its location to the northeast zone. For instance, a third of the states in the country are just within a day’s drive to Connecticut. Agricultural products like tobacco, dairy, hay, poultry, aquaculture (like oysters and clams), livestock, ornamental flowers and shrubs, and sweet corn are among the top contributors to the state coffers. Large-scale manufacturers also consider Connecticut their home. There are manufacturing plants that exclusively supply submarine and aircraft parts to the military. Manufacturing plants here are also one of the biggest suppliers of the machine and computer parts and fabricated metal in the country. A research study commissioned by CNBC titled “The Top States for Business 2018” ranks Connecticut as 37th among the 50 states. Among its strengths are its labor force, financial access for new businesses, high level of education, technology, and innovation. Its weakness, meanwhile, is infrastructure along with cost of living. The second largest casino in the US, the Foxwoods Casino, has become a tourism destination in the state. Tourism is also a major driver of growth and in the past 10 years, the labor force in the tourism industry swelled by 13.6%. Connecticut is working toward laying down the foundation for a friendly business environment in order to spur growth, particularly on new entrants, as well as helping small businesses expand their operations. It’s also diversifying its industries because obviously, its over reliance on military contracts and insurance—while thriving and booming—has hurt its economy. If you’re interested in buying a business in Connecticut, selling a business in Connecticut or just looking to have a fair market business valuation in Connecticut, then reach out to us via our contact page!